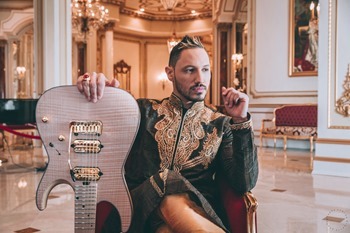 The guitarist Angel Vivaldi has been receiving remarkable attention for his musical works especially on Youtube. Angel’s music video for “A Martian Winter” which was dropped in 2012 went viral and hit more than 6 million views. His other music videos went on to hit over a few hundred thousand views and he currently has over one hundred thousand people subscribed to his youtube channel. His highly technical guitar skills truly are an art form all their own and Angel’s sense to implement them at the right time really make the songs shine. The contrast of shredding technical guitar riffs and catchy beautiful melodies work well on the heavier tracks. 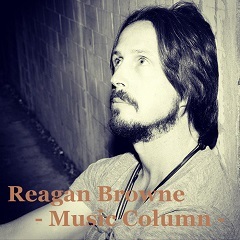 Listener’s have been attracted to the new album for it’s technical guitar, his musical taste and high production value. 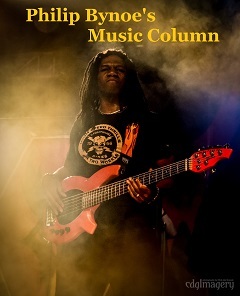 Also having guest musicians Nita Strauss from Alice Cooper and Guss G on the album helped to build the hype. He took some time to talk to Muse On Muse about his musical background and his brand new set “Synapse”. 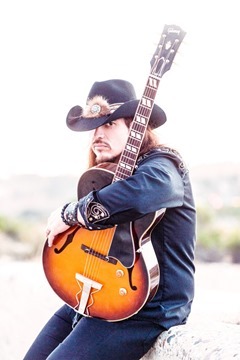 Guitarist Lance Lopez is known for the blues project Supersonic Blues Machine with Fabrizio Grossi and Kenny Arnoff. 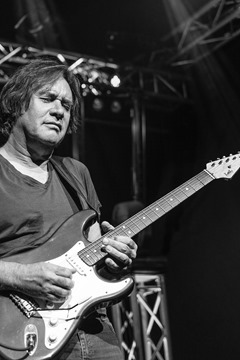 Their two released albums featured Walter Trout, Steve Lukather, Robben Ford, Billy F. Gibbons, Eric Gales and Warren Haynes as guest guitarist. 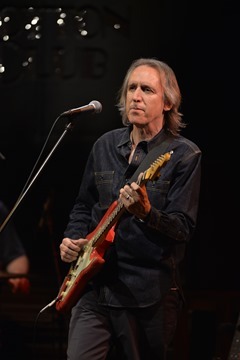 Lance magnificently collaborated with those prominent guitarists with his emotional guitar performances and vocals. 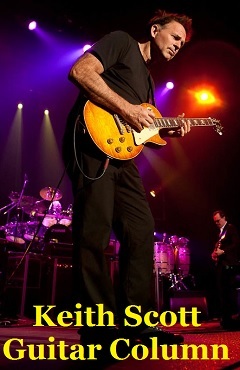 Lance recently released his new solo album “TELL THE TRUTH” inviting Fabrizion Grossi on as a producer. 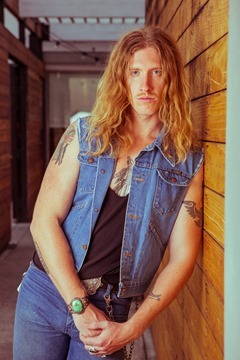 This new album is not merely just a blues record it also features passionate hard rock guitar performances by Lance. 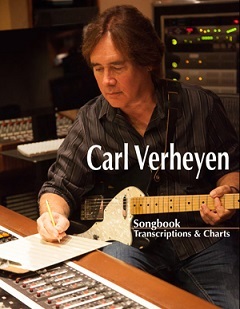 The SCHERER/BATTEN project features Marc Scherer, vocalist extraordinaire with a skyscraping clear voice, along with female super guitarist Jennifer Batten, known for working with artists such as Michael Jackson and Jeff Beck. SCHERER/BATTEN has just released their album “BattleZone”, produced and written by Jim Peterik, who is also known for his prolific collection of songs including SURVIVOR’s “Eye Of The Tiger” and “Burning Heart” from the Rocky movies. The SCHERER/BATTEN album displays a great collection of pleasant yet catchy and melodic rock tunes featuring a great vocal performance by Marc Scherer, and Jennifer Batten’s melodic guitar along with a taste of some flashy licks and energetic performances. 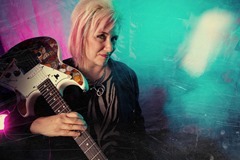 Jennifer Batten took some time with MUSE ON MUSE to talk about the new album, and also shared her thoughts about the current music scene, as well as some of her memories with Michael Jackson and Jeff Beck. The return of Tony MacAlpine from his serious illness was a wonderful news for his fans in all over the world. He proves who he still is through the long-awaited new album “Death of Roses” which contains 7 brand new recordings. Those dramatic tracks of “Death of Roses” have not only aggressive heaviness, but also beautiful melodies and sounds which were carefully composed by Tony himself who never compromise. This new set showcases his enormous talent as a guitarist and a composer, and his high musical standard. 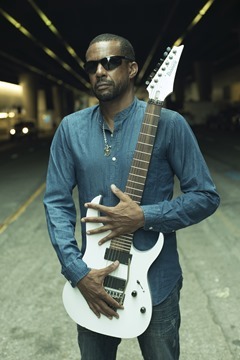 Tony MacAlpine talked to MUSE ON MUSE about his significant album “Death of Roses” which celebrates his return to the front line of music scene. 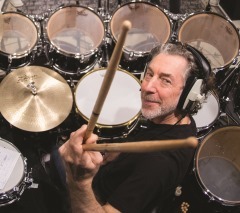 The Super Drummer Simon Phillips has released new album titled “PROTOCOL IV “ which is 4th album under the alias Protocol. Simon teamed up with Greg Howe whose ultra technical guitar play has gained status amongst enthusiasts of Hard Rock & Fusion music and A young and promising keyboard player Dennis Hamm who plays for Thundercat and Ronald Bruner Jr. for this brand new album. Beautiful guitar melodies played by the new member Greg Howe, following impressive keyboard melodies by Dennis Hamm are the introduction of the new album “PROTOCOL IV”. Its musicality became even deeper and this impressive pieces approach not only their old fans, but also other underground music supporters. A Collaboration project Kee Of Hearts is comprised of a formerly guitarist of Europe, Kee Marcello who has just provided he is still strongly thriving by his solo album “Scaling Up”, and a singer from Fair Warning that is popular in here Japan as well, Tommy Heart. They finally released their debut album. 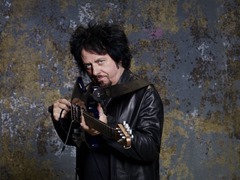 In their debut set “Kee Of Hearts”, even though all tracks are produced by mainly Alessandro Del Vencchio and other outsourcing producers, It seemed easy for those originators to translate those tracks to their Kee Of Hearts language undoubtedly by Kee’s emotional, clever guitar that has a great taste, and Tommy’s rich and powerful singing. 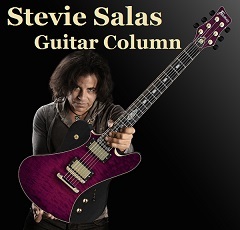 This noteworthy piece must captivates not only their own fans, but also all Hard-Rock fans. MUSE ON MUSE asked Kee and Tommy about their debut album “Kee Of Herts”.